Hello folkes. 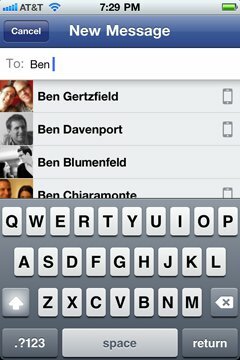 You would have heard about the Facebook Messenger that has been released lately. Facebook Messenger application covers the live chatting part, plus it supports normal messages too. 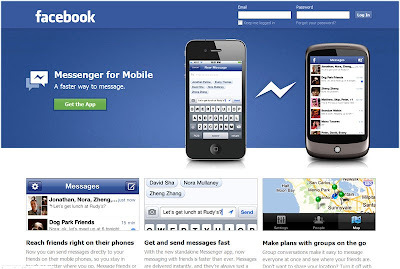 Whats the reason behind an individual chat application when we already could chat from the native Facebook for mobile app? Still blank on that part, personally. Facebook messenger was available for iOS and Android before they launched it for BlackBerry too, recently. The application now supports many new languages. In an all 22 new for Android and 12 new languages for iOS version. The native Facebook app had the chat feature but it was pretty laggy. I could often get the message of a particular chat faster than the chat window updated itself. At least now with Facebook Messenger we are able to get the chat updates in real time. Facebook has really done hard work on improving the overall Facebook experience, specially after the launch of Google + and its various popular features. First the Facebook for mobile app got an overall with huge changes to the app. Finding stuff is now a whole lot easier and notifications, friend request etc are all easily accessible. Good Work Facebook.